Last week, the culmination of eight months of collaborative effort came to fruition as we joined our co-organisers in Wigan for CTRLShift: An Emergency Summit For Change. SEA has been part of the organising group since its inception, and whilst co-organising an event of this scale, alongside 35 partner organisations, certainly had its challenges, the fact that such a diverse range of organisations, from across varying sectors, were working together for meaningful change was incredibly exciting. The organising team are still collating the outcomes of the event, which will be shared very soon. 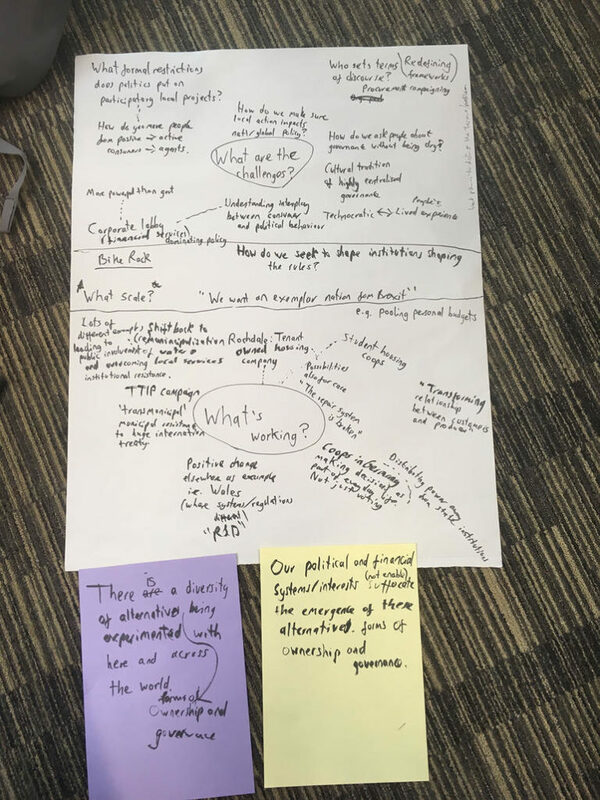 In the meantime, we wanted to share some of the great post-event reports others have been sharing, including this from the Transition Network’s co-founder, Rob Hopkins, this from Indra Adnan, co-initiator of The Alternative UK, and the report below from Dr Bertie Russell, Research Associate in the Urban Institute. (You can see the original post here – https://jamandjustice-rjc.org/blog/ctrlshift2018-emergency-summit-change). In 1937 George Orwell released The Road to Wigan Pier, an account of squalid housing conditions, poverty and class prejudice across the North of England. Despite the UK’s return to economic growth following the Great Depression, the vast majority of people continued to feel economic ‘crisis’ as a daily reality. Orwell argued the only viable way of addressing the continued crisis of the working class was a turn to socialism, even if – as his editor argued – Orwell “does not once define what he means by Socialism”. Almost a century later and the UK is in the shadow of not only an economic crisis, but a series of connected ecological and social crises that national governments appear impotent to address. The solution is, in principle, much the same as in Orwell’s time, even if we remain generally unclear as to what this looks like in practice. It’s more urgent than ever that we define not only an ‘ideal’ but realizable alternatives, and develop movements with the capacity and leverage to help deliver them. Billed as ‘an emergency summit for change’, the #CTRLshift 2018 summit promised to help do precisely that. Held between 27-29th March at a community-church building in Wigan, around around 150 activists, organisers, and social entrepreneurs – including individuals and organisations involved with our Jam & Justice Action Research project – came together with the intention of creating ‘a powerful coherent voice and a collective action plan for radical, positive change in the UK’. The summit took a particularly open and deliberative approach, inviting the participants to take time to get to know the other participants and ‘feel out’ the space we were in. This comes with the usual frustrations that will be familiar to anyone who has been through similar processes over the years. However, breaking out of our own patterns and learning how to listen is a necessary step in any collective process, not least one that demands us to recognize not only our own limitations but our collective assets. Whilst different people took different paths through the summit, there seemed to be a central theme that could be traced through many participants’ experiences, and which will arguably become a central characteristic of this nascent ‘alliance’. Progressive leftwing discourse and organising often struggles to escape from a perspective of deficit, one that places an emphasis on crisis and the monolithic nature of the challenges we face. Whilst it’s necessary to recognize the structural conditions we face, such deficit thinking often limits us to think in terms of ‘resistance’, capturing us within the logic of the things we oppose. Indeed, the deficit perspective can often blind us to all the actually existing moments of progressive change that are already underway – from pioneering models of tenant and employee co-owned mutual housing in Rochdale through to public-common energy partnerships in towns such as Wolfhagen, Germany. These are neither polished examples nor utopian endpoints, but rather vehicles that help us to move us in the direction of equitable, sustainable and just societies. The most hopeful aspect of CTRLshift was thus the collaborative commitment to move away from deficit thinking and towards the recognition of our own solutions, and by extension, our own power. This doesn’t mean abandoning awareness or critique of the structural nature of the challenges we face, but it does mean reorientating our ways of thinking – and our political strategies – towards supporting those experiments that are moving us forward, and confronting those institutions that hold us back. The ‘mood’ of the CTRLshift summit can be summarised in a sentence; we know there is a diversity of alternatives being experimented with here and across the world, but our political systems serve to suffocate rather than enable the emergence of these alternatives. The challenge for future development of the CTRLshift initative is thus twofold. Firstly, how can we build a shared awareness and understanding of those moments of progressive change that are already underway, that help us to “release the imagination” of what is possible? This requires more than creating a database of our social and ecological “lifeboats”, but actively developing relationships and collective strategies. 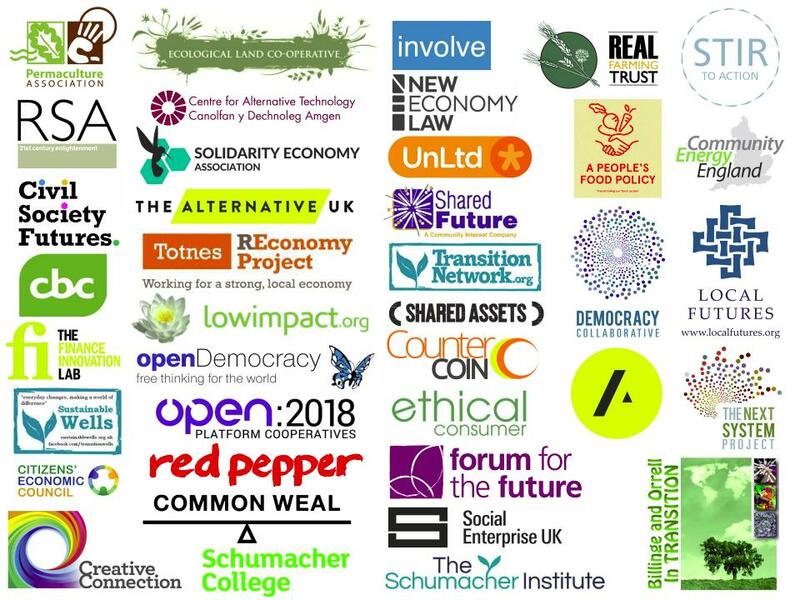 A number of our own projects, including the mapping of the Social and Solidarity Economy sector in Greater Manchester and our participation in the international Cities of Change initiative, are committed to doing precisely this. Few things are more powerful than knowing that change is not only possible – but that it’s already happening. Secondly, what possibilities are there to ‘hack’ our existing political and economic systems to accelerate support for these alternatives? This doesn’t mean putting faith in electoral politics to solve our problems, or pretending that we’re not living in a world largely determined by the contradictions of a capitalist socio-economic system. It does however force us to innovative, and to recognize that some parts of these systems – however unexpected or hidden they may be – might just be amenable (or could be made amenable!) to supporting the direction we’re moving in. Want to get involved? The event may be over, but the work is just beginning! Sign up to the CTRLShift Facebook group, or join the conversation on Twitter using the #CTRLShift2018 hashtag.